Rules: As an additional cost to play, destroy any number of cards you control. You pay 5 less to play Deathwing for each card destroyed this way. 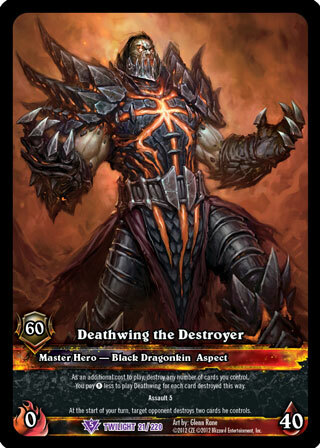 ;Assault 5;At the start of your turn, target opponent destroys two card he control.